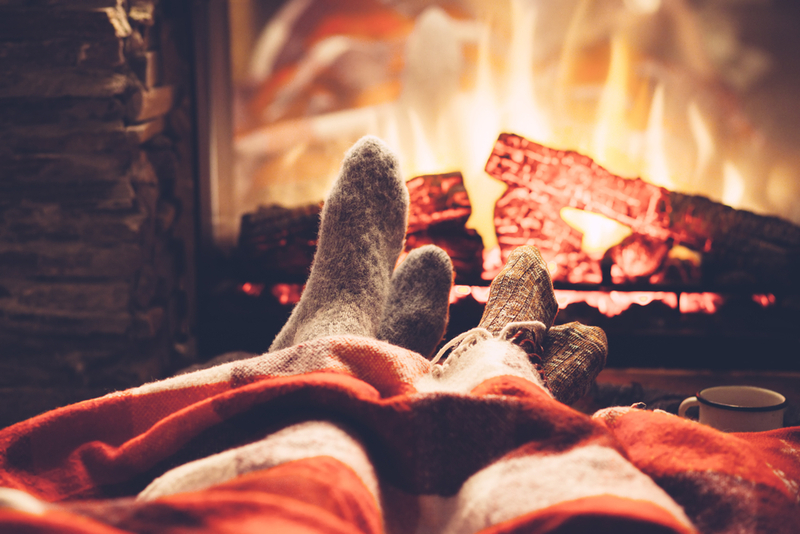 If you have a fireplace in your home, there’s a strong chance that it’s key to your plans to keep your family warm and cozy during the coldest months of the year. If you’re having trouble getting a fire started in your fireplace, there are a few common culprits that could be preventing you from seeing any sparks. If you have a gas fireplace, the pilot light can be extinguished by a strong gust of wind or downdraft. Try turning the pilot light back on by turning the control knob to the pilot position. Hit the red button that lights the pilot and hold it for about a minute before turning the knob on. This should recalibrate the system and light the pilot light again. If you are trying to light a fire with wood that is too wet or too green, you will probably see a lot of smoke and not much fire. The type of wood that you choose to burn in your fireplace is important. You should always use wood that has been properly seasoned, or dried out. If there is too much moisture in the wood, the flames that do ignite won’t produce enough heat for the chimney to function correctly. If your chimney is on the exterior of your home, there’s a good chance that cold air is pushing its way down the chimney toward the fire. This could lead to smoke coming into your home instead of out through the chimney. The cold in the chimney will need to be quelled before smoke will head in the right direction, so be careful when nurturing the fire to be hot enough for air to head the right way. When it comes to keeping your home and family safe and comfortable during the winter, you should never settle for less. Call Clean Sweep Maryland today at 410-558-1111 for professional chimney sweep, dryer vent cleaning and gutter cleaning services designed to keep your home in wonderful condition and your family safe.